Hot Deal – Sony a9 w/ Rokinon 50mm & 85mm f/1.4 Prime Lenses + Accessories Bundles for $4,498 ! Sony USA authorized dealer BeachCamera has a hot bundle deal on Sony Alpha a9. You will get around $1,000 free accessories bundle for buying Sony a9 for $4,498.00. Hot Deal – Rokinon AF 35mm f/2.8 FE Lens for $349 at BuyDig ! Rokinon USA authorized dealer BuyDig has a hot deal on Rokinon AF 35mm f/2.8 FE lens for Sony full frame mirrorless cameras. After use coupon code “C117722270” when checkout, you will save $50 off than regular price. Hot – 10% Off Open Box Sony a7R II, a6500, a6300, a6000 and E-mount Lenses at BuyDig ! 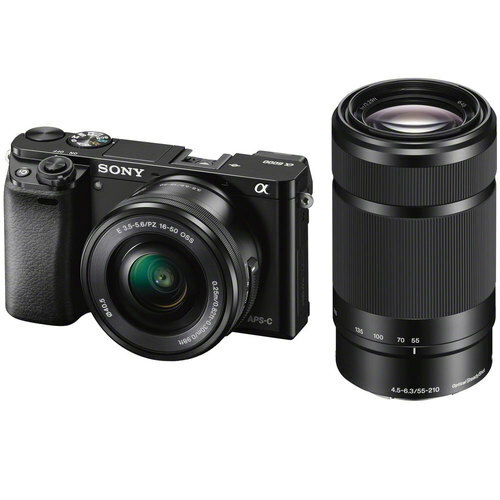 BuyDig has a clearance deal on open box Sony mirrorless cameras and Sony E-mount lenses. You can get additional 10% off on all these open box deals. Open box items is known as the box may be torn, there may be cosmetic scratches. It coming with 1-year USA warranty from Sony. Sony a9 w/ 64GB UHS-II Card + Backpack + Tripod Bundle for $4,498 at BeachCamera via Amazon ! Sony USA authorized dealer BeachCamera via Amazon US has a hot bundle on Sony Alpha a9 with free accessories. The deal price is $4,498, with free UHS-II memory card, Backpack, tripod. Currently best deal ever.